Tabytha Holland Armstrong is my amazing sister. At 33 she had been married to a wonderful man for 5 years. Right after getting married they moved from Atlanta to Alabama so she could go to Troy University. 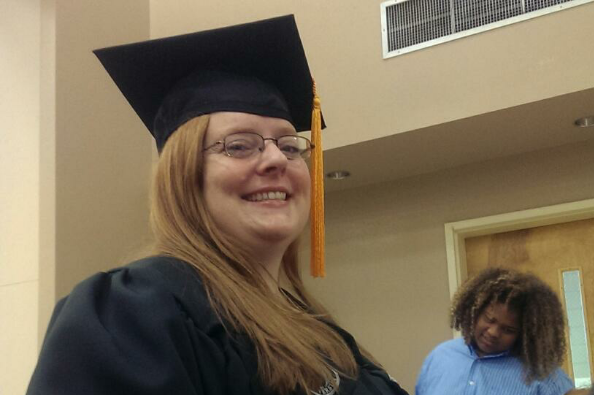 She graduated with her nursing degree and was looking forward to growing in her field. Then her hip started bothering her. She went to the doctor and got the news no one should ever hear. She was diagnosed with widespread cholangiocarcinoma, an aggressive form of cancer. She started chemo and we were hopeful. She was strong and a fighter. She spent 2 years fighting as hard as she possibly could and throughout it all she laughed. She finally lost this battle on July 11th. In her memory, we are setting up a scholarship fund at the University of Troy for future nursing students to help them achieve their dreams. Any donations are welcome and appreciated to help us keep her memory alive. We are so happy to have been able to provide a scholarship to 1 student at Troy this past year. For those of you asking what you can do, we are asking for donations for a scholarship fund to the nursing program at the University of Troy that my parents are founding in Tabytha's name. This will help an individual nursing student to achieve the same dream Tabytha was able to realize. Hello everyone! Tabytha went to MD Anderson and had her scans done. They showed her to be stable but no shrinkage. To try to get the tumors to shrink again they have put her back on a previous chemo treatment that was giving her kidneys some problems. While there she looked into getting into a trial but they want to see if the chemo works first and keep that as an option for when it stops working. So not great news but not bad. We are still hoping and praying. Thank you to everyone praying with us. Deepest sympathy to Alan and Renee. This is from the WOW class at South Luverne Baptist Church with much love! May God use Tabytha's "hope" to bless many in her memory. God is good. May the Lord bless many through this scholarship, as well as bless the memory of Tabytha. Much love to Allen and Rene.